Stock trading had become as simple as online shopping where the investor can just sit at home and make share trading by using their smart phone. All what you need is good internet connection, subscription to 3-in-1 account, mobile banking... application and sufficient funds in your bank account. Nowadays many free/ paid mobile and web applications are available for online trading. Through online trading, we can trade securities through an online platform. It is simple to open a trading account. You just need to open an online trading account with an online broking firm. 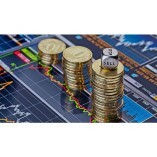 Angel Broking offers reliable Demat and trading accounts services with low maintenance cost and affordable brokerage. If you could find stock brokers in Cochin who is a registered member of all the stock exchanges and is certified by the SEBI that would be an advantage.